It’s the game which kicked off the entire franchise, leading to some of the most spectacular gaming experiences the worlds has ever seen. 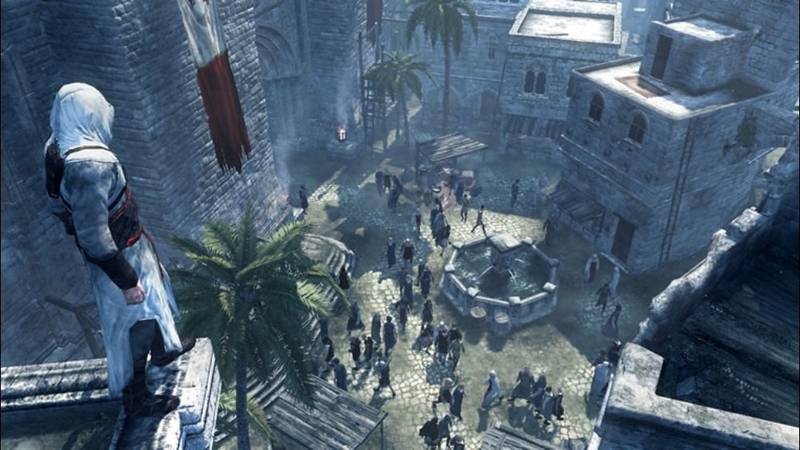 Yep, it’s Assassin’s Creed – and it’s free on Xbox. Available without a price tag for the first couple of weeks of November 2018, Assassin’s Creed is the first game in the AC series, one which landed on Xbox 360 many moons ago to kickstart the worldwide phenomenon that is Ubisoft’s Assassin’s Creed. But why has it been stripped of a price? Well, you’ve got the Xbox Games With Gold scheme for November to thank for that and as long as you are an Xbox Live Gold subscriber, then you’ll have free access throughout the month – and beyond. Usually sitting pretty at £8.99, this native 360 title can also be played on Xbox One thanks to the power of Xbox Backwards Compatibility, ensuring that a whole new swathe of gamers get the chance to head into the world of Altair to see how the Assassins world was born. Whether you’re going in because you have been taken by the other free Assassin’s Creed titles that have been delivered via GWG, are a fan of the outstanding Assassin’s Creed Odyssey, or just want to check it out because, well, it’s free, then you’ll find a good time with the original Assassin’s Creed. Get yourself over to the Xbox Store and grab yourself a free copy right now. Just make sure you do so before the 16th November, otherwise that price will be found going back up. 1191 AD. The Third Crusade is tearing the Holy Land apart. You are Altair, a Master Assassin sent to kill corrupted leaders profiting from the war. As you carry out your missions, you find yourself tangled up in a conflict that threatens not only the Holy Land, but the entire world. Master the skills, tactics, and weapons of history’s deadliest and most secretive clan of warriors. Plan your attacks, strike without mercy, and fight your way to escape. Experience a living, breathing world in which all your actions have consequences. Crowds react to your moves, and will either help or hinder you on your quests. Do whatever it takes to achieve your objectives.